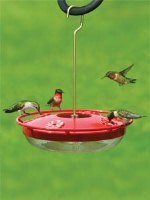 April 1st marks the sixth anniversary of The Zen Birdfeeder blog. And while my posts have slowed somewhat because of work demands, I just can't seem to retire from blogging. About a month ago, I came close. I was thinking about why I do this and who I'm doing it for. Would The Zen Birdfeeder be missed in any way whatsoever if I just stopped writing? I came to the conclusion that I might just let Zen fade away into cyberspace. I was going through a period when I was just not finding the motivation or the inspiration to keep the blog going. Running a retail business is time consuming enough without adding the demands of social media. A post or two a day on Facebook is not quite as demanding as writing a blog post 3 or 4 times a week. 98% of what you read on this blog and 99% of the images are mine and mine alone. If I don't get behind the camera and if I don't write, nothing happens here. And these days, an individual publishing a bird blog qualifies as a rare bird alert. In his assessment of "The State of the Bird Blogosphere", Corey Finger of 10,000 Birds remarks, "There has been an acceleration...to group blogging and blogs with an institution behind them." The Zen Birdfeeder is one of only 3 individually-written bird blogs among the Top 10 on the Nature Blog Network. Corey was right when he referred to this endeavor as a "labor of love", and that "it is nearly impossible for an individual to keep up with the amount of content a group can generate and a single voice gets lonely compared to the chorus that a group can provide." I bet they wish I'd just go away with my stories of chickadees and titmice and blue jays and leave the bird blogging for the "serious" birders. But I love the niche I write for - folks passionate about the birds but who love seeing birds right in their own yard. Folks who don't consider themselves serious "birders", but are serious "birdwatchers". I love representing that niche! And the birds keep me going. I love watching birds. Not "seeing" birds, but "watching" birds. I love observing little things about them and then sharing those little things on this blog. I'm not a scientist, I don't necessarily know all the whys behind the things birds do, but I enjoy watching them and think you do too. So I'll continue on. I'll snoop on a chickadee preening itself deep in my rhododendren, try to take some photographs of it, and then share it with you. Little things, just like that. I hope you continue to enjoy what I share and that in return, you'll share your thoughts with me. Thanks for being here since April 2007! While vacationing in Atlantic Beach, North Carolina this spring, I got to add a couple great birds to my unofficial life list. I've already shared a post about seeing the endangered Red-cockaded Woodpecker. The other very important species I saw there was the Red Knot. And one very important Red Knot individual. Birding and conservation groups have been calling on the U.S. Fish and Wildlife Service to take immediate steps to list the Red Knot under the Endangered Species Act. The American Bird Conservancy estimates the total population of the Red Knot at a mere 25,000 birds, down from over 100,000 birds. At this rate of decline, the Rufa subspecies of the Red Knot could be extinct by 2020. While reviewing the images I made of the knots, I noticed that one individual bird had a blue flag and multiple bands on its legs. What was exciting about that discovery is that these larger, color-coded flags carry letters that make them more visible, readable, and reportable than smaller bird bands. Now any birdwatcher who can read the flag can report their sighting of a Red Knot (or other shorebird). This will help provide more information about these imperiled birds than if the only bands being read were on mist-netted birds or those found around the leg of a deceased bird. The Red Knot I saw had a Dark Blue flag with the letters CB. The dark blue flag means the bird was originally banded in Brazil. Jeannine P., database administrator at www.bandedbirds.org advised me that they don't have the original banding data for the blue flags (yet). She added, "there are not a lot of red knots banded in Brazil compared to North America, so all resightings are especially desired." I reported my sighting on the Report Shorebirds with Color Bands and Lettered Flags page, then searched for other resightings of "my" bird. I found out that this individual Red Knot was resighted first in New Jersey in May 2008 and resighted a number of times in May 2009 in New Jersey and Delaware. There were no resightings in 2010. My resighting on May 16, 2011 was the first report on this bird in North Carolina. Here's my resighting image posted on the bandedbirds site. Even though we don't know when this bird was originally banded in Brazil, I can deduce that when I saw it in May 2011, it was on (at least) its 8th trip between its breeding grounds in the Arctic and its winter home in southern South America. At roughly 9,000 miles each way, this bird had already flown at least 65,000 miles in its lifetime! Red Knot populations have plummeted in recent years, in part due to the decline of the Horseshoe Crab. Horseshoe Crab eggs are a critical food source for the knot during spring migration. Red Knots use the Delaware Bay as a key refueling spot, where they fatten up on crab eggs so they can continue on to breed in the Arctic. But Horseshoe Crab populations in Delaware Bay are in significant decline, at least partially due to the harvesting of the crabs for use as bait. Without the crabs, you have no crab eggs. Without the crab eggs, you have no Red Knots. These two species are inextricably linked, and both are vanishing before our eyes. Unknown problems for the Red Knot may exist in their wintering sites as well. I will continue to check in periodically at the BandedBird site to see if there are additional resightings of "my" Red Knot. And if you see Red Knots, look for flags on their legs and report any that you're able to make out. All reports may help save the species! I'd like to acknowledge and thank John of the DC Birding Blog who has been relentless in his reporting of the plight of the Red Knot. His posts helped alert me to the decline of the Red Knot and keep me informed of important news about the species. You can view the Nature program about the Red Knot and Horseshoe Crab entitled "Crash: A Tale of Two Species" in its entirety on the PBS website. Support the American Bird Conservancy's work to save the Red Knot. Today is The Zen Birdfeeder's Fourth Anniversary! Thanks to all our readers for tuning in - YOU are what keeps me going! It's the 3rd Anniversary of The Zen Birdfeeder! April 1 marks the 3rd Anniversary of The Zen Birdfeeder blog! It has gone by so quickly (really!) and despite the breaks in the action when I experience a little blogger's block, it has been absolutely great! A year ago I marked the 2nd anniversary still high from Kenn Kaufman's comments about our Wild Birds Unlimited store, and waxed on about our common ties and love of the birds. This year, I looked back to select my favorite posts from the last 12 months. It was an interesting exercise looking back; more than once I said, "I wrote that??" I hope you enjoy a second (or maybe a first) look at these posts. Let me know if you have a favorite. And THANK YOU for reading The Zen Birdfeeder blog! April 2009 - Green Morph Pine Siskin. Is it or Isn't it? The Zen Birdfeeder is proud to be this month's Guest Blogger on the new WeLoveBirds.org social networking website. If you haven't checked it out yet, WeLoveBirds.org is an online community, a place for bird-lovers to share stories and information about birds and to help protect birds from activities that harm them and their habitat. It's only been out there for a couple months but already has over 1,300 members. On the site, you can download your own photos and videos of birds to share, post on the community blog, ask birding questions, find important birding resources like the 2010 State of the Birds Report, and more. Links to NRDC's Action Center make it easy to let your voice be heard on issues than affect the birds - a feature I particularly like. WeLoveBirds.org was launched as a partnership between the Natural Resources Defense Council (NRDC) and the Cornell Lab of Ornithology. NRDC is a grassroots environmental action group that works to protect wildlife and wild places, and to ensure a healthy environment for all life on earth. The Cornell Lab of Ornithology is a nonprofit, member-supported organization dedicated to the study and conservation of birds. 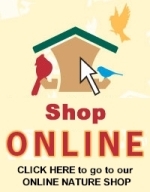 Check out WeLoveBirds.org and become a member today. And I hope you enjoy my posts as this month's Guest Blogger on WeLoveBirds.org. I added a new yard bird yesterday, an exciting sighting of a flock of Snow Geese flying over my yard. We've been in this location for nearly 19 years now so new yard birds are quite infrequent (but greatly appreciated and enjoyed!) This year, we had 3 new birds visit the yard (or the skies above): the Snow Geese, a migrating Swainson's Thrush in October, and a Red-bellied Woodpecker welcomed in the new year on January 1. The geese were a real treat. The Hudson-Mohawk Birdline had numerous sightings of flocks of these birds on the move. I had wondered whether I would be able to differentiate a flock of Snow Geese overhead from the more common Canada Geese, who are also being widely seen moving in flocks. But I knew they were being seen, so I was keeping an eye out for them. I had just read a post on the Stokes Birding Blog about the sighting of a White-winged Dove in Massachusetts. I love the reminders in their post to be observant and prepared as a bird watcher. "You never know what might show up. In birding, that's a good thing to frequently remind yourself of." It's easy to pass off a bird as that species you see all the time. But the Stokes post is a perfect example of looking closely at even the most common of birds for what it might bring: "So, next time...you're looking at a Mourning Dove, check it carefully. Who knows, it could be a White-winged Dove." As observers of birds, we should try to know all we can about the most common birds in our own area (not only how they look, but how they behave, their sounds, etc.) Then we should always keep an open eye and open mind for differences from what we know. And we should try to learn at least a little bit about birds that are similar to our common birds. It helps also to keep an ear out for news of the migratory or unusual birds that are being seen in the area. Then be ready to see the unusual! For as Don & Lillian Stokes remind us in their post, "Chance favors the prepared mind, (or birder)." Thanks to Dan De Federicis for his nice review of The Zen Birdfeeder in his "The Blogs of Saratoga" post on (Albany) timesunion.com. Read his review of all Saratoga-related blogs and check 'em all out while you're there. Dan writes his own blog, Fun in Saratoga, which he describes as "positive and focused from the viewpoint of a resident who loves the track and loves living here." Silent film star Clara Bow was the original. The "IT" girl. "IT" is that quality possessed by some which draws all others with its magnetic force. With "IT" you win all men if you are a woman — all women if you are a man. And at the recent 2009 Midwest Birding Symposium in Lakeside Ohio, the Kirtland's Warbler was the "IT" bird. IT too seemed to have a "magnetic force", capable of attracting all birdwatchers, men and women, alike. IT didn't even have to be named after the announcement of the initial sighting. IT was first reported on Saturday morning and IT stayed around all day Saturday, pretty much in the same area of East Harbor State Park. Anytime there was a break in the action at the symposium (which was often), a wave of birders would head over to the park to try catch a glimpse of IT. If you were skilled and lucky, you'd get a photograph of IT. As you'd approach the trailhead where it was seen, you'd ask others "Is IT still there?" As you'd leave, others approaching the trail would inquire "Is this where IT is?" As you returned to the Lakeside grounds, fellow attendees would inquire "Did you get to see IT?" Those that had seen IT were grilled by those still looking for IT; "Was there black in the lores? ", "How bold was the side streaking? ", "Did you ever see IT near the ground?" Why is IT so special? What is ITs quality that draws people in? Laura Kammermeier of Birds, Words, & Websites does a wonderful job of sharing information about IT in her post "Revisiting The Kirtland's Warbler". She was one of those skilled and lucky enough to capture images of IT (and excellent ones at that). Make sure you check out her post. So I won't belabor the point further other than to say that this bird is an IT bird because IT is our rarest member of the warbler family. How rare? There are only an estimated 3,600 Kirtland's Warblers on this entire planet. IT is seldom seen in migration. And yes, I was one of the lucky ones to see IT. How fortuitous it was for a bunch of bird lovers to have been gathered in a spot only a few miles from where IT decided to spend one day of its long migratory journey. The symposium was excellent in so many ways, but the short visit by the IT bird - the endangered Kirtland's Warbler - made it unforgettable and perhaps, unsurpassable. It Girl - Wikipedia "It Girl"
Clara Bow - Wikipedia "Clara Bow"
Kirtland's Warbler image posted with permission from Whatbird.com. Copyright 2002-2007. We appreciate their approval of our request. Welcome to Saratoga Springs, New York, USA for the 108th running of the I and the Bird Stakes! Click on Image to Listen to "Call to the Post"
Saratoga Race Course is the oldest continuously operating race course in North America and this year, it has been summer home to the two biggest equine birds in thoroughbred racing today: Kentucky Derby winner Mine That Bird and Belmont Stakes winner Summer Bird. These horses have rich avian blood, being half brothers out of 2004 Belmont and Travers winner Birdstone. While at Saratoga, these siblings were housed a few stalls apart in the Clark Memorial Stakes Barn which became known as "The Birdhouse". And just last Saturday, Summer Bird followed in his father's hoofsteps by winning the $1 million 140th Travers Stakes, the centerpiece of the Saratoga Race Course summer meet. is this the best place in the world? International Vulture Awareness Day - Can you help us reach 100 events? A Day-Making Family of Cardinals! Stables: Great Auk - or Greatest Auk? What a great line-up we have at the gates for the 108th I and the Bird Stakes! Let's send them ALL to the Winners Circle by reading and commenting on their posts. If you REALLY like them, tweet about 'em on Twitter or put links out on Facebook - this is a celebration of birds and the blogs that exist because of them! The celebration continues in the 109th edition of I and the Bird, hosted by Madras Ramblings on September 17th.